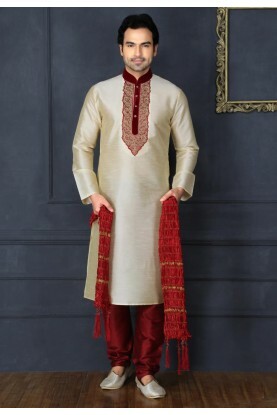 Bound to get noticed for that cool still classic design and style with this Green Colour Jacquard Fabric Readymade Kurta Pyjama. 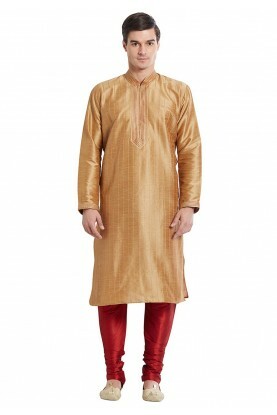 You're reviewing: Green Colour Kurta Pajama. 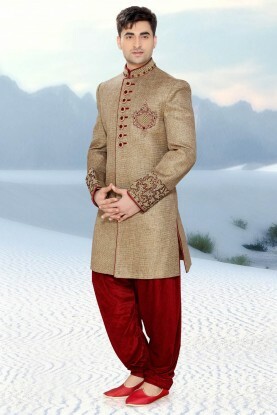 Men's Exquisite Cream Color Art Silk Readymade Kurta Pajama.